My name is Larry I'm with All Track Exterminators In Pasadena Ca. I had a couple of questions to ask you about your home in Pasadena. Are there Drywood Termites taking residence at your property? Have you been pushing the termite problem at the bottom of your property maintenance list? Has the overwhelming thought of the expense of getting a tent fumigation stopped you from getting the termite treatment done? How would you like to receive 1/2 price off the retail cost to get your house tent fumigated for Drywood Termites? Wait no further, All Track Exterminators is holding a half-off fumigation competition, just fill out the email link located below this video. Really, 10- Pasadena Residential Property Owners will be randomly selected for this half-off retail cost to Fully Tent Fumigate your single family residence. No, we are not crazy but you may be, if you know you have a termite issue and you let this offer pass you by. What is a fumigation? It is for the eradication of Drywood Termites and other types of (WDO) Wood Destroying Organisms. A fumigation uses tarpaulins to cover an entire structure while all the occupants and living things are evacuated for 2 nights and 3 days. All Track Exterminators is offering to eradicate wood eating insects that have now infested your personal residence. So let me explain, the specific infestations half-off competition is for Drywood Termites attacking your personal residence in Pasadena Ca. The process uses a known lethal dose of fumigating gas to fill the structure and exterminate all Drywood Termites under the placed tarpaulins secured to the structure with the gas fumigant inside. 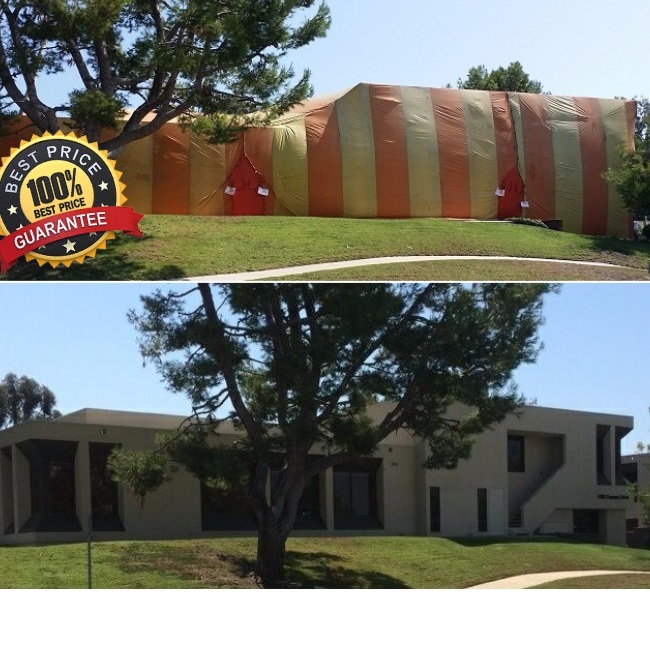 This is a full-service fumigation tenting offer and comes with a 2-year warranty. So stop delaying and enter your email to have a chance at being one of the 10 randomly selected Pasadena Home Owners to receive this incredible special offer. Finally, you can get rid of those property munching insects, the Drywood Termites, at half- the cost of retail. Just enter your email and we will send all the details to you. There is absolute no collection of funds by entering your email. No credit card needed upfront, no obligations or anything to purchase to be a recipient of this amazing 50% off discount. Fill in your best contact email and check your spam and junk folder for our support email entry. That is it. Put your email below now! Just enter your email and we will send all the details to you. There is absolute no collection of funds by entering your email. No credit card needed upfront, no obligations or anything to purchase to be a recipient of this amazing 50% off discount. or anything to purchase to be a recipient of this amazing 50% off discount. Not everyone that submits their email will receive this half-off tent fumigation competition award. You understand this is a promotional service and All Track Exterminators will be contacting the person that submits an email entered for this gift certificate. All emails will be collected by All Track Exterminators and contacted to make initial appointments to gather your property details. Owners are required to follow all terms and conditions relating to this competition listed at, https://alltrackexterminators.com/fumigation-competition-terms/ and will be required to set an appointment for a termite inspection. Emails for this Competition will be accepted until 10/31/2016, 11:59pm PST. The residential property recipient for this Fumigation competition, to be valid must be located in Pasadena Ca. For more information click Fumigation Competition terms.